A small indescript shop sits directly opposite to the famous Yun Kee ( I will be posting about this place later on) located on wellington street. Beside it lies many other wanton noodle competitors which I did not venture to try. 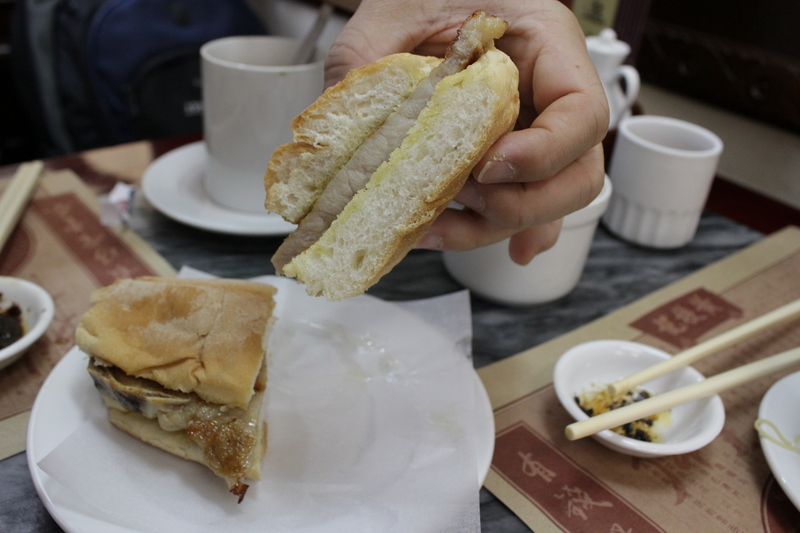 Wong Chi Kee is a tried and tested shop that we always visit when we are in Hong Kong. The original shop is in Macau and this is their branch in Hong Kong. 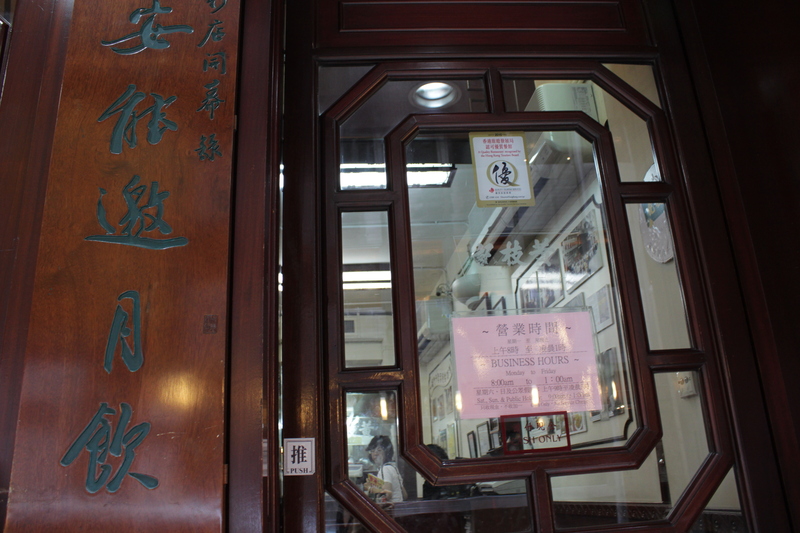 They serve Cantonese handmade noodles which according to them, are painstakingly formed using the traditional method of using a bamboo stick to compress the flour mix. The noodles were thin and delectably crunchy, a nice relief from all the mushy wanton noodles you so often find in unreputable wanton noodle shops here in sg. 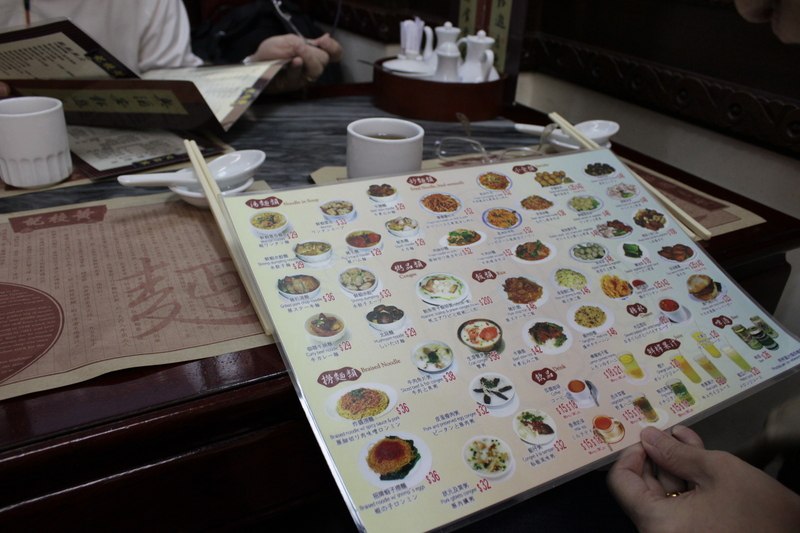 The broth was similar to prawn stock, though it was less pungent. This was probably due to the fact that the wantons given were cooked in that broth too. The wanton was just a thin layer of skin that covered a whole prawn (much to my dismay because I am allergic to prawns). Simple and unpretentious, this made a good breakfast for us and would certainly be very comforting if the weather was cold! 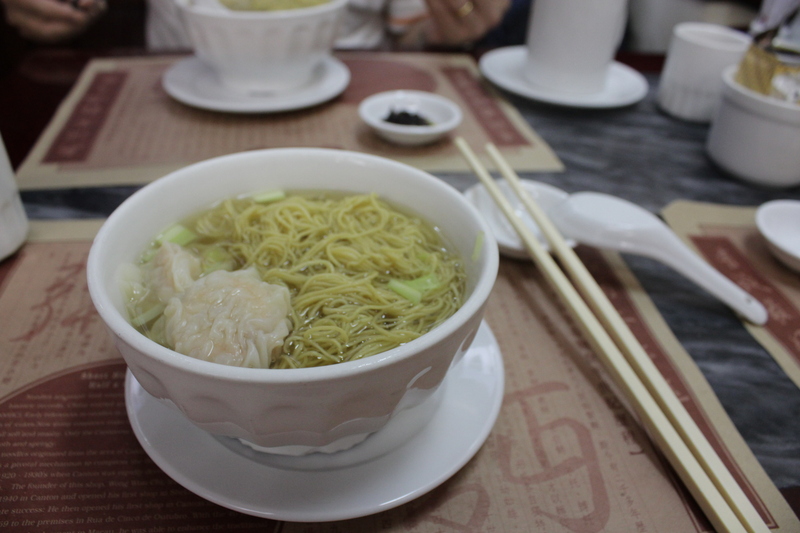 The portion of wanton mee was very small so we ordered a Pork Chop Bun to share as well. While my parents enjoyed it very much, I found the pork artificially bouncy ( I could not seperate it with my bare hands, I had to use the knife to cut) which made me conclude that it was possibly the work of excessive meat tenderizer. 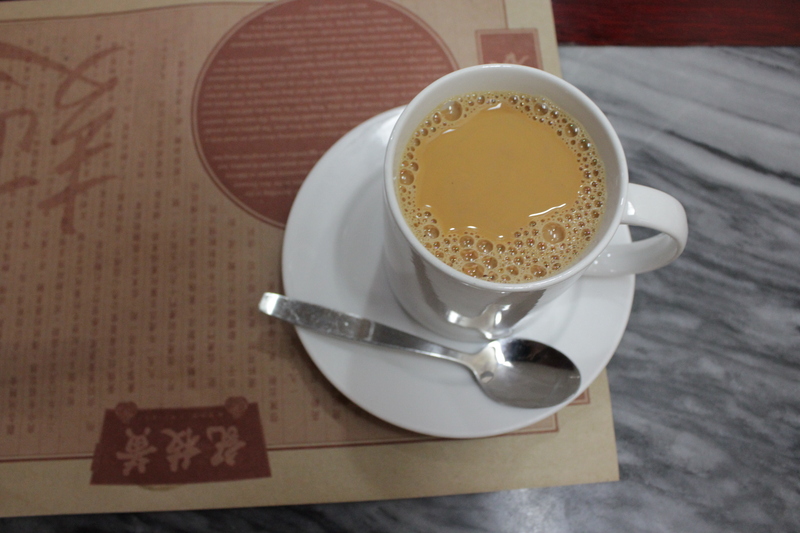 Instead of the usual cup of coffee for breakfast, do try the milk teas in Hong Kong. I find it an acquired taste but dad seemed to enjoy it very much so much so he had it for breakfast everyday!